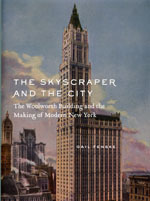 The August 16 edition of the Wall Street Journal ran a short but positive review of Gail Fenske’s new book, The Skyscraper and the City: The Woolworth Building and the Making of Modern New York. Fenske’s book uses an in-depth architectural analysis of New York’s Woolworth building as a lens through which to view the city’s distinctive urban culture. As WSJ reviewer Nicholas Desai writes: “The building’s style, inside and out, is hybrid, almost a pastiche, offering Tudor, Byzantine and Gothic elements—modern but not modernist,” and Fenske’s book insightfully connects this unique eclecticism to the cultural contradictions that defined New York City’s modernity. Desai’s review continues praising Fenske’s prose as “academic but clear, enlivened by her interest in the cultural moment” and calls her work “a definitive take on a 20th-century classic.” Read it online at the WSJ website. . . . The latest edition of Time Out Chicago is running an article about Kelan Phil Cohran—whose notable work as a jazz composer and multi-instrumentalist once landed him a spot in Sun Ra’s Arkestra and, more recently, a central role in George E. Lewis’s new book A Power Stronger Than Itself: The AACM and American Experimental Music. Lewis’s book is the definitive history of the Association for the Advancement of Creative Musicians, an important and influential Chicago jazz collective which Cohran helped to found in 1965. But as Time Out‘s Jake Austen notes, Cohran not only played an important role in organizing the association and establishing Chicago as a mecca for avant-garde jazz, but continues to be a major force in the jazz scene today: After settling in Chicago in the mid-’50s, Cohran became an integral part of the South Side’s cultural fabric during the next half-century, forming the AACM and turning a Bronzeville movie house into the Afro-Arts Theater (home base of Cohran’s Artistic Heritage Ensemble, Oscar Brown Jr. and Gwendolyn Brooks, among others). He also became a fixture in public schools, teaching and demonstrating his musical ideas from 1965 until the ’90s.… But Cohran is best known for his stint . . .
Donald E. Westlake (aka Richard Stark) published The Hunter, the first book in his long-running series about the master thief Parker, in 1962. Since then The Hunter has been adapted for film twice and become a classic amongst fans of hard boiled noir. But until recently the book has been neglected by publishing houses, going in and out of print, while used copies fetched high prices. 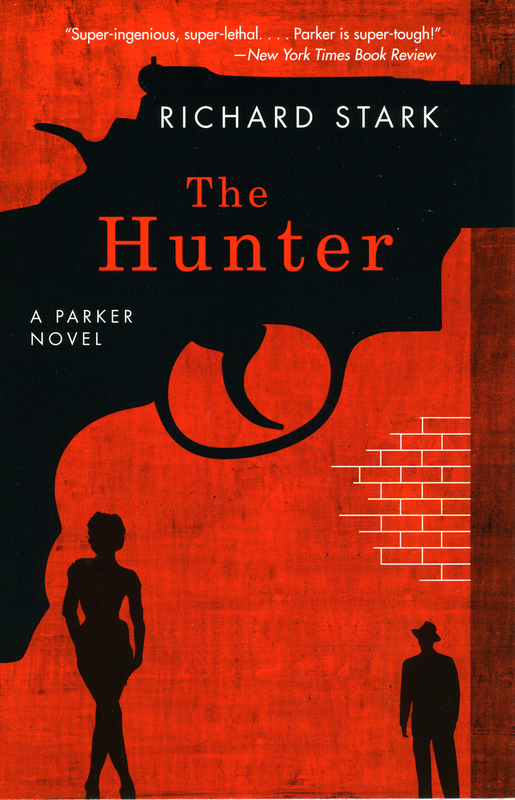 Now, the Press has brought the Parker novels back to life with the republication of the first three books in the series including, The Hunter, The Man with the Getaway Face, and The Outfit—and word is getting out. Recently the Independent Crime blog posted about the books’ resurgence, hailing Westlake as “one of the best crime writers to ever put pen to paper, and… one of the best writers of the last century period.” The post continues: It’s a long way from the paperback racks in drugstores to the world of academic presses, and U of C Press’ decision to pick up Westlake’s series certainly goes a long way toward validating the opinion of many that Westlake, with his Parker novels, has earned a place in hard boiled fiction up there with Hammett . . . The arts and culture website Trickhouse.com is currently featuring an online exhibition of the collages of William Davies King, professor of theater at the University of California, Santa Barbara and author of the recently released Collections of Nothing. King’s book is a profound meditation on his habit of gathering miscellany—what many would consider junk. But through the careful organization and presentation of his collections, King demonstrates how even the most humble objects are able to accrue new, individualized value. And King’s collages, accompanied by an insightful curatorial essay by David Banash, are a particularly interesting example of this phenomenon. Navigate to www.trickhouse.org and click on door #3 to visit the online exhibition. Also read an excerpt and an essay by the author. . . .
John Kieswetter, the Cincinnati Enquirer‘s TV/Radio/Media reporter heralded the arrival of one of Cincinnati’s favorite TV personalities, comedian and actor Tim Reid, with a nice post to his blog last Thursday. His posting touches on Reid’s historic career in comedy, and details his recent itinerary, which brought him back to the city he once fictionally inhabited as radio DJ Venus Flytrap on the late 70’s sitcom WKRP in Cincinnati. According to Keiswetter, Reid was scheduled to host the local Emmy Awards dinner and to throw out the first pitch at the Reds-Astros game. In his post Kieswetter remarks: “I bet he’s surprised at how often he’s recognized here, and how fondly so many of us remember ‘WKRP. 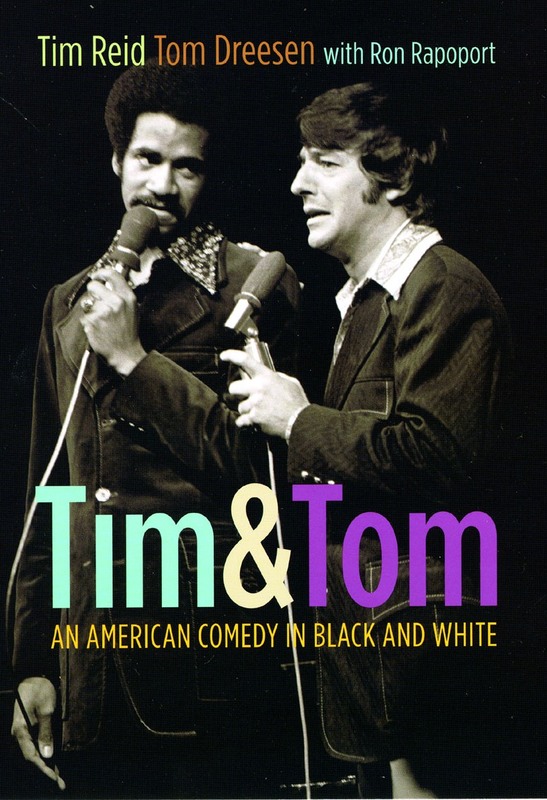 '” But while most people recognize Reid from his hit TV show, fewer remember his earlier work in the pioneering stand-up act “Tim and Tom” with comedian Tom Dreesen—the first interracial comedy team in the history of show business. Now with Reid’s forthcoming book, Tim and Tom: An American Comedy in Black and White, co-authored with Dreesen and Ron Rappaport, the fascinating story of this ground-breaking comedic duo is revealed—from their beginnings in the nightclubs of Chicago to to their acrimonious breakup after 5 . . .
Erin Hogan’s Spiral Jetta: A Road Trip through the Land Art of the American West was honored in the “Books Briefly Noted” section of the New Yorker: Standing in Walter De Maria’s Lightning Field, in the high desert, amid four hundred stainless-steel poles, Hogan ruminates on how the work affects our sense of time, space, size, and scale. She is at her best when she re-examines the precepts of modernism in the changing light of New Mexico, and shows how the human body is meant to be a participant in these grand constructions. Read an excerpt and an interview with the author. 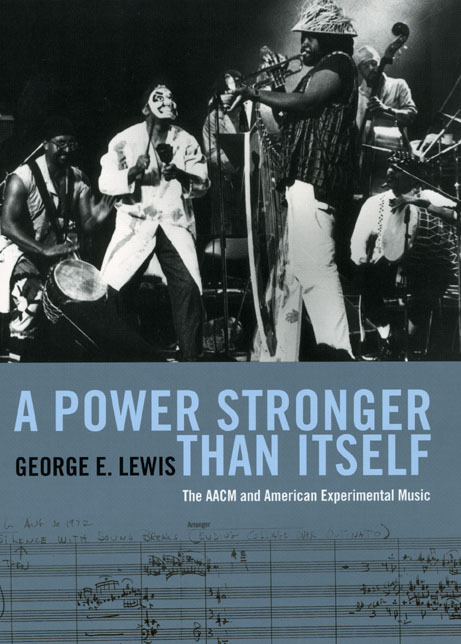 George E. Lewis’s A Power Stronger than Itself: The AACM and American Experimental Music received a favorable review in Frieze Magazine this past Sunday that praises Lewis’s account of the rise of the AACM as a “thoroughly engaging” scholarly study that nonetheless remains in touch with the people and music it seeks to explore. 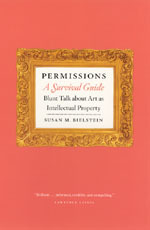 Read an excerpt from the book. William Davies King new book Collections of Nothing was reviewed today by Chicago Tribune cultural critic Julia Keller. Keller praises the book not only as an engaging autobiographical account of the author’s habit of amassing unusual collections, but . . . 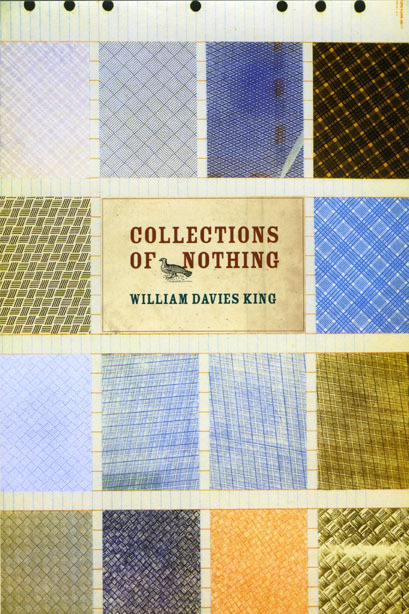 Author William Davies King was interviewed yesterday on WNYC’s Brian Lehrer Show about the “art of amassing detritus”—a topic thoroughly and insightfully explored in King’s newest book, Collections of Nothing. Listen to the archived audio from the program on the WNYC website. 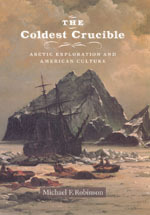 Also, read an excerpt and an essay by the author. . . .
Michael F. Robinson, author of The Coldest Crucible: Arctic Exploration and American Culture has written an interesting piece for the Space Review that draws on his cultural analysis of polar exploration in the nineteenth century to comment on NASA’s recent space exploration initiatives. In the article, Robinson notes that sensationalism was often used to justify early polar expeditions rather than their scientific value, and argues that NASA’s recent plans to send astronauts to Mars might be an analogous situation. Robinson writes: A manned mission to Mars, if it happens, will be a dazzling event guaranteed to keep us glued to our televisions. But symbolism alone cannot carry the US space program forward. One hundred years ago, Americans faced the same dilemma on the Arctic frontier. In their relentless pursuit of the North Pole, explorers had abandoned science. After Robert Peary claimed the discovery of the North Pole in 1909, American scientists breathed a sigh of relief. Finally, scientific exploration of the Arctic could begin in earnest. Franz Boas, professor of anthropology at Columbia University, expressed the mood of scientists then, but he could have been expressing the opinion of many scientists now. “We must not forget that the explorer is . . . In remembrance of Nobel Prize winning novelist, dramatist, and historian Aleksandr Isayevich Solzhenitsyn who passed away last Sunday, the Boston Globe blog Off the Shelf has posted a short piece excerpting from Ha Jin’s forthcoming collection of essays about literary exiles, The Writer as Migrant. Solzhenitsyn lived much of his life in exile from his Russian homeland due to his sharp criticism of the government and the publication of his writings about the Soviet Gulag. In the opening essay of his book, Jin explores Solzhenitsyn’s life in exile and the reception of his writings in his Russian homeland and in the Western world to which he was forced to flee. Navigate to the Off the Shelf blog to read the excerpt. 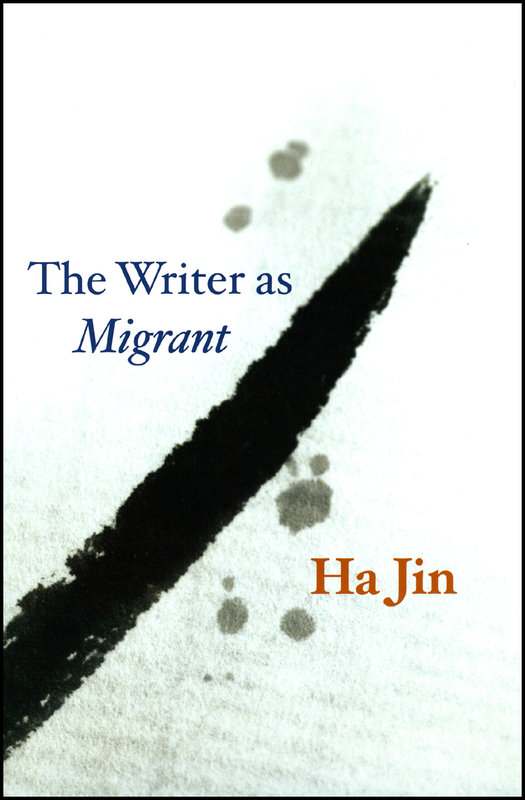 Ha Jin’s The Writer as Migrant is currently scheduled for publication in November of 2008. . . .